Curious about CrossFit but don’t want to commit? Our 3-week trial is perfect for you. Crossfit Launch lets you experience CrossFit without the commitment. You don’t have to ‘get in shape’ before you come in. That’s what our knowledgeable coaches are here for. 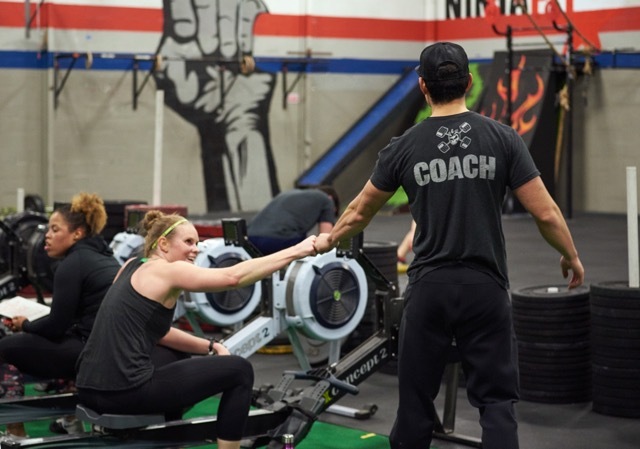 Our new Crossfit Launch program is the perfect introduction to traditional CrossFit programs. We’ve designed this first-ever, entry-level environment to be more accessible and more streamlined, helping you ramp up to awesomeness in 90 days flat. With CrossFit Launch, our smaller classes and extra coaching make sure that each workout is scaled to your current level of fitness. We don’t care where you start; we’re just glad you’re here and looking to be a better version of yourself. We’re here to help. We know starting something new and unknown can be intimidating. Making change is hard. But we promise you will fit right in and will feel at home after just a few workouts. Give us three weeks. The only commitment involved is our commitment to you and your success here. It’s Time to Make Your Mirror Jealous.